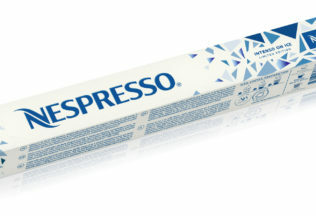 Nespresso Australia is selling coffee-pods especially designed for making iced-coffee. The limited-edition Leggero on Ice and Intenso on Ice pods are the first Nespresso pods designed to be consumed over ice. Nespresso Coffee Ambassador, Mitch Mongahan, said Nespresso knows many coffee drinkers will be looking for a cool alternative over the summer months. “We have introduced these two Limited Edition coffees so you can enjoy the high quality Nespresso you know and love, as a fresh, cool treat,” Monghan said. Leggro on Ice consists of fruity and lemon notes whilst being a full-bodied coffee. Intenso on ice has cereal and cocoa notes with an intense roasted finish. The new pods are available now from Nespresso’s online store and will be sold at Nespresso boutique’s from 27th December 2017. The recommended retail price is AUD $9.50 for a sleeve of 10 capsules. SumoSalad is making it easier for its customers to order with a new app. The Food and Grocery Council (AFGC) has appointed a new chief executive officer.